You should keep on eliminating the unwanted and unnecessary programs on a regular basis from the start-up menu. As its one of the important areas which impacts the start-up of the PC to great extent. You should use specialized tools which can manage all the windows at the start up, like msconfig . Also you could use an utility called system Mechanic, and then optimize the items from Individual tool pane. This specific tool will guide you with the steps through the wizard provided. You can also fully automate the process of removing of the files or items which are not required. Even you can select the options and replace them with the action you think is appropriate. You can disable, enable, and start up items, properties and more. Maintaining and cleaning of the registry at specified durations can result in significant increase of system speed.Â The tools available for the registry repair will first compare the portions available in the registry to what is actually present on the system and being used. Once the output is generated it will either delete or remove the erroneous redundant entries.Â For doing this you will have to navigate to different individuals pane. In the repair category-you will have to click start for moving ahead and handling it. Â On automatic task pane you can take care of issues related to registry problems. When the system is defragmented it frees up a large amount of valuable memory space which can surely have a drastic change on the speed of the system. It can also improve the stability of the computer and reduce events of lockups and crashes. You could use the built in Disk Defragmenter or use third party tools to defrag the system and place the files in the location they should be. It is one of widely used handy tools available with Windows. Scanning of the system on a regular basis with appropriate tool kit or software can find out any system bugs or eradicate issues caused from Spywares, malwares or other infections. Since most computers these days are “always connected” to the internet. Major problems on the system are caused by unwanted virus attacks and the spyware. You should have an anti-virus which should be used to run scan on a weekly basis. The anti â€“virus software should be updated with the latest virus definitions. Some of the good options for Antivirus and Anti-Spyware are Microsoft Security Essentials and Spybot search and destroy. One doesn’t need to be an expert to execute the steps mentioned above. Just little know-how of the computer is good enough to try these simple PC housekeeping on your own. These tips can increase the life of your PC and can keep it in good condition for the very long time. You can always buy new computer for a better performance. But don’t throw your old used PC or even your cell phone away, instead re-sell them and make money out of it. There are some companies, such as Pacebutler which buy old cell phones and recycle it. For knowing more details about it, you can visit pacebutler.com and can also read Pacebutler review before selling your cell phone online. 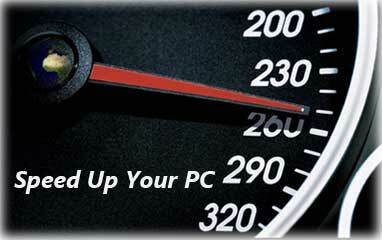 This entry was posted in How to's, Technology, Tutorials and tagged Speed-Up Your PC using these PC repair tips. Bookmark the permalink.